The Miami Dolphins are holding their breath as their franchise quarterback Ryan Tannehill undergoes tests on his injured leg. Miami Dolphins quarterback Ryan Tannehill left practice early Thursday morning with an apparent injury to the same knee that he wears a brace on. The Dolphins are hoping it is nothing serious, as an injury this early into camp could be a death blow for a team that is hoping to return to the playoffs. Most teams would be in trouble losing their starting quarterback and the Dolphins are no exception. These are the top five reasons why Miami would be in trouble in Tannehill’s absence. Everyone knew when he was coming into the league that Tannehill would need some time. The Texas A&M product was a converted wide receiver with limited snaps at quarterback. The Dolphins were confident that his athleticism and arm could turn him into a franchise quarterback. The debate is still out on him as a face-of-the-franchise type quarterback, al la Aaron Rodgers or Tom Brady. 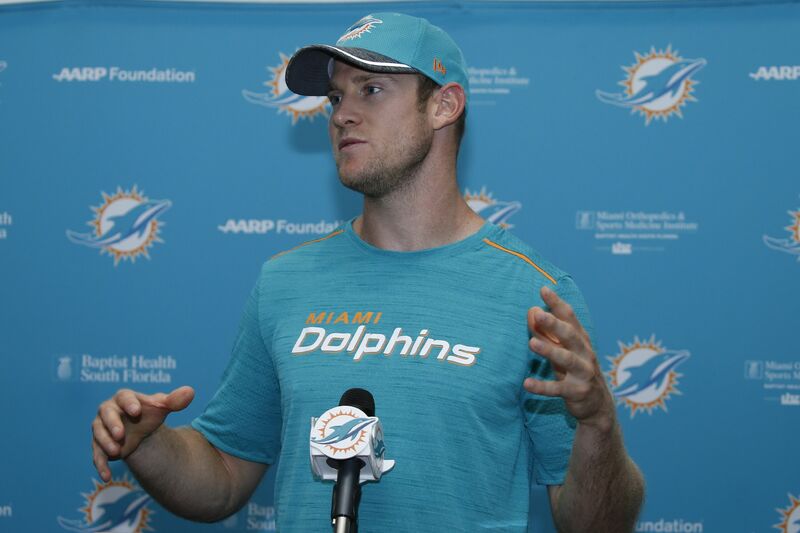 However, Tannehill has shown improvement and some tools that he may be only scratching the surface. In 2016 Tannehill played in only 13 games after suffering a knee injury in December against Arizona. Before, the five-year pro was posting his best season. He was at a career-best in completion percentage and quarterback rating. Tannehill was entering the season with high expectations. Even after suffering a torn ACL last season, it was reported that he was moving well this offseason. For some reason, Tannehill elected not to have surgery on his torn ACL, opting to rehabilitate the injury instead. The Dolphins hopes not hinge on that brace protected knee.